Bid Manager Jobs London is a thriving profession. Organisations are reliant upon having a successful and efficient bid team and the role of Bid Manager is crucial within this team. Their main aim is to co-ordinate the overall tender process and work to win contracts on behalf of the company. Bids are highly detailed documents that outline how the organisation concerned would meet a contract's requirements. They cover many issues, from health and safety to customer care and staff issues, and most importantly are weighted for quality as well as price. The responsibilities of a bid manager can vary between organisations. But, essentially, a bid manager is responsible for submitting a bid to an existing or new client, on time and within budget. They need to do this to the best of their ability to ensure they give their organisation the best chance of success. Bid Managers can often work under a bid director and are involved in all the daily aspects of an individual bid. Bid managers are involved in every aspect and need to be aware of what the client needs and how best to provide it. A bid manager is also the first point of contact for the client, and works closely with estimators who produce the costs associated with a bid. The job of bid manager is mostly office based but can involve meetings and site visits and whilst it is usually a standard working week it can involve longer hours as submission deadlines approach. To gain entry into this field you can work your way up from a bid co-ordinator role or you can gain practical industry experience. 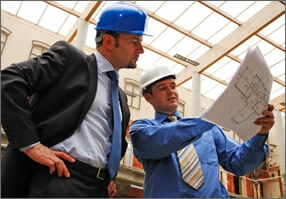 Most bid managers are educated to degree level, often in construction or engineering. Many companies provide excellent opportunities for training and, either in-house or from an external training provider. Many also have graduate training schemes. A successful Bid Manager can eventually progress to the position of Bid Director within a company where they can be responsible for bidding for multi-million pound contracts. Membership of a professional organisation such as the Royal Institution of Chartered Surveyors (RICS) or the Institution of Civil Engineers (ICE) will help with career progression. With todays economic climate, winning new contracts is essential for any business so good bid managers will always be in demand, so if you think you have the necessary requirements and that Bid Manager Jobs London could be the career for you we here at CSRNI can help.